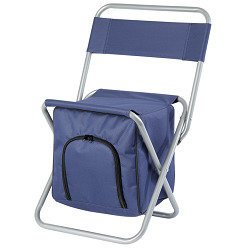 Thank you for your interest in our Two Person Picnic Cooler and Chair. Please complete your details on the 'Quick Quote' form and click the Submit Button at the bottom of the page. 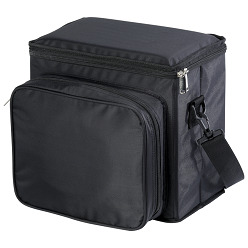 A customer service consultant will contact you about the Two Person Picnic Cooler and Chair with a quotation. 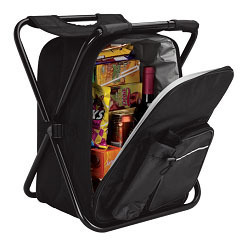 Two Person Picnic Cooler and Chair; Foam Insulated PEVA Lining; PE Board With Foam Cover For Chair; Collapsible for easy storage; Padded adjustable / removable shoulder strap; Picnic set includes: 2 knives; 2 forks; 2 spoons; 2 plastic wine glasses; 2 plastic plates; 2 fabric napkins.